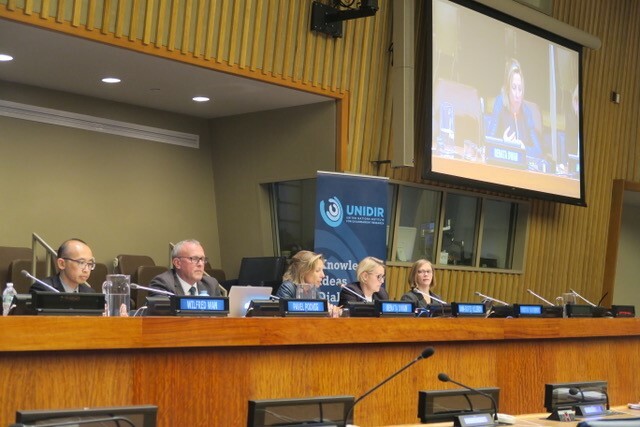 On 18 October 2018, the United Nations Institute for Disarmament Research (UNIDIR) hosted a First Committee side event entitled “Evidence of Absence: Verifying Removal of Nuclear Weapons”. Ms. Renata Dwan, the Director of UNIDIR, moderated a discussion between four panelists: Ambassador Ann-Sofie Nilsson of Sweden; Dr. Pavel Podvig, UNIDIR Senior Researcher, Dr. Wilfred Wan, UNIDIR Researcher; and Ms. Christine Parthemore, Director of the Climate-Nuclear-Security Program at the Council on Strategic Risks. 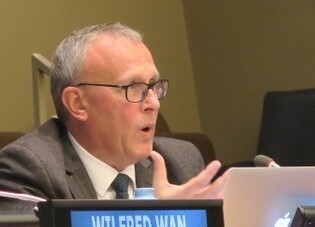 The event explored a new UNIDIR study intended to outline credible, reliable and accurate techniques and arrangements for nuclear disarmament verification, which is seen as an essential element of the nuclear disarmament process. 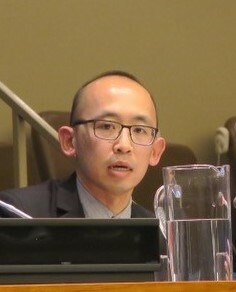 They stressed that a verification framework centred on “absence” could support nuclear disarmament efforts because it would not require a reliable chain of custody, access to sensitive data or the creation of trusted information channels—some of the most complex and daunting problems associated with current verification methods. Dr. Podvig outlined four areas in which different procedures could help verify the absence of nuclear weapons. It is possible to verify the absence of deployed nuclear weapons by applying, with almost no modification, relevant procedures established under the Treaty between the United States of America and the Russian Federation on Measures for the Further Reduction and Limitation of Strategic Offensive Arms (New START). “This is absolutely possible, and we are already doing it”, he said. To ensure there are no weapons at an operational base, an inspection would only need to address relatively large arms systems. Dr. Podvig said an obvious aspect of the inspection arrangement would be confirming that nuclear warheads are not present inside objects large enough to contain them. He expressed confidence that “this can be verified”. An absence-focused verification regime would also aim to confirm that no infrastructure is present to support the long-term deployment of nuclear weapons. Because nuclear weapons are dangerous and valuable, States use support infrastructure to help ensure their safety and security, Dr. Podvig noted. Verifying the absence of such infrastructure would involve some difficulties, but it is possible, he said. Dr. Wan presented his research on the history and potential applications of the absence-verification concept. On the Korean Peninsula, demonstrating the absence of nuclear weapons at sites such as United States military bases in the Republic of Korea could be “an important confidence-building tool” in denuclearization talks, he said. Ms. Christine Parthemore, Director of the Climate-Nuclear-Security Program at the Council on Strategic Risks. Ms. Parthemore then took the floor, providing an in-depth overview of a debate concerning nuclear-capable cruise missiles. She said the ability of cruise missiles to deliver nuclear or conventional warheads would pose a substantial risk of escalating a conflict, as a target State could not know whether an incoming cruise missile is carrying a nuclear or conventional payload. Eliminating the ambiguity surrounding cruise missiles is critical, she said. 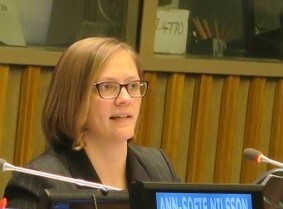 As she concluded, Ms. Parthemore stated that the proposed verification techniques and arrangements could encourage nuclear-weapon States to move forward in pursuing new disarmament measures. The full UNIDIR study is available here.